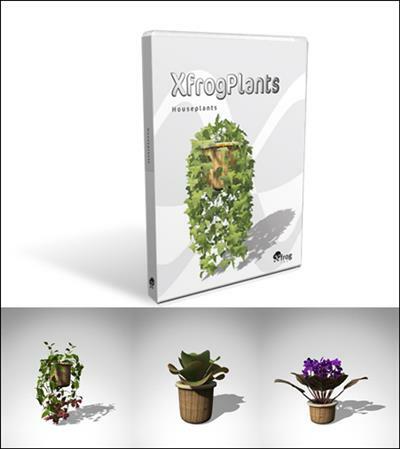 Houseplants contains 3D plant models of 20 popular species of potted plants and indoor trees. Each species includes 3 variations in age, size and shape for a total of 60 highly detailed, fully textured 3D models. These 3D plants will add color, life and a touch of nature to any indoor scene.